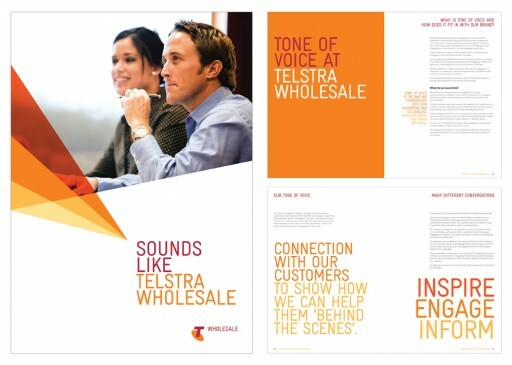 Telstra Wholesale 8 page A5 Customer Charter Commitments brochure. 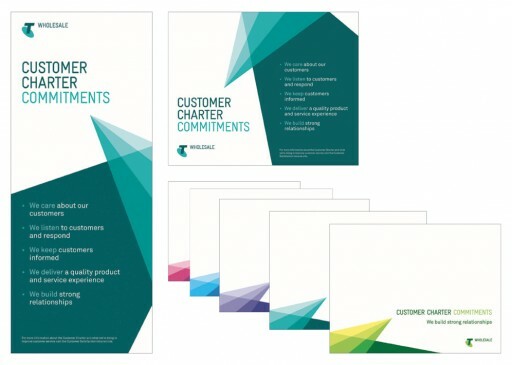 Telstra Wholesale Customer Charter Commitments items that include a large format poster, mouse mat and post it pads with five alternating pages, each page including a different colour spectrum. Telstra Wholesale 32 page A4 Tone of Voice brochure. Telstra Wholesale Kick Off Conference 2011 A4 24 page Notebook, HTML invitation and Powerpoint template. Other items designed for this event included a 2 page Agenda, 13 A1 Posters and Word and Powerpoint templates. 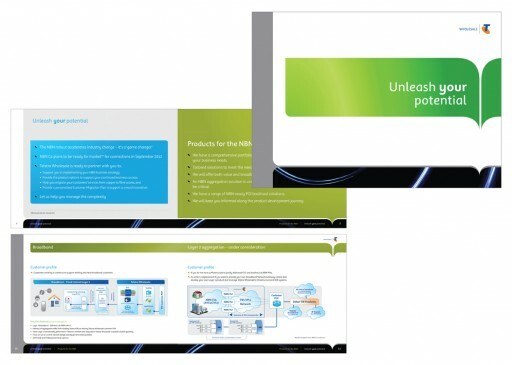 Telstra Wholesale ‘Unleash your potential’ 24 page A4 leave behind brochure – internal communication. 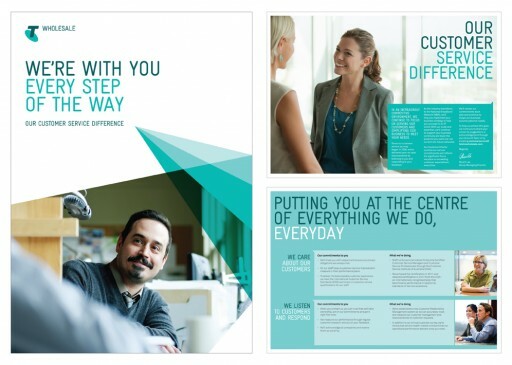 This document is handed out to staff at the end of the NBN ‘Unleash your potential’ presentation. 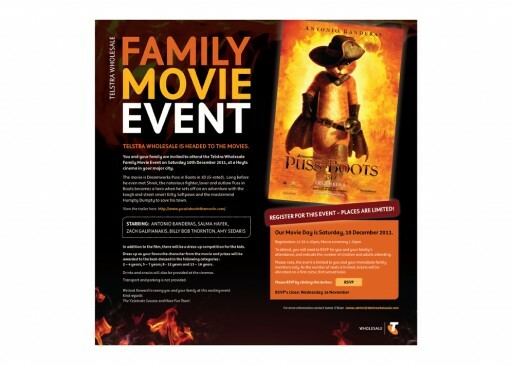 Telstra Wholesale Movie Event invitation to see Puss in Boots. 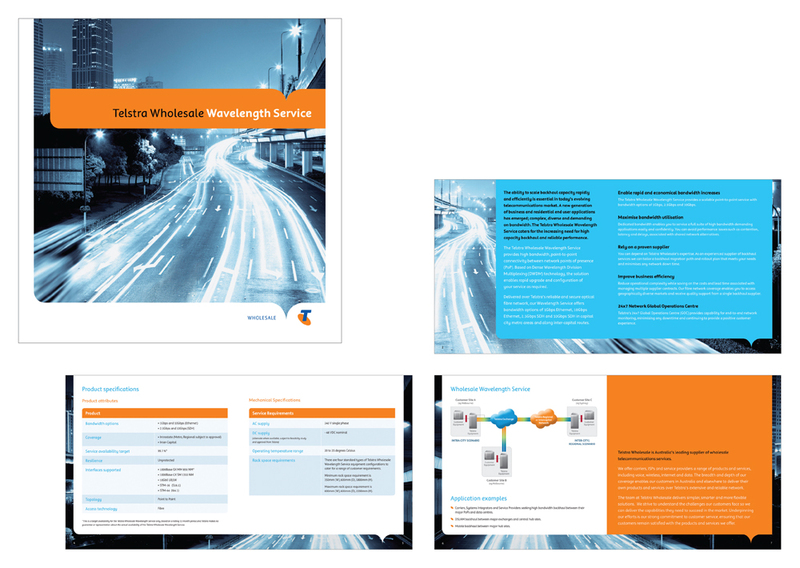 Telstra Wholesale 8 page 200mm x 200mm in size Wavelength Service brochure. 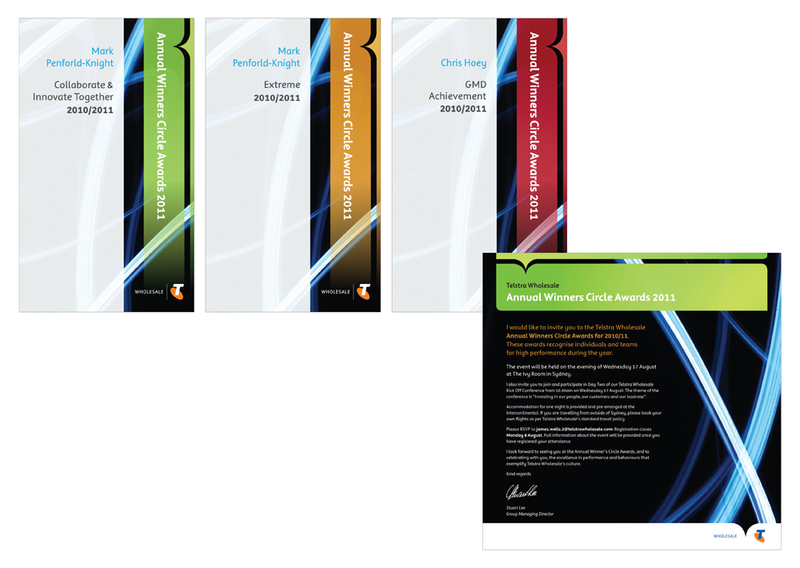 Telstra Wholesale Annual Winners Circle Awards three different award designs and HTML invitation. 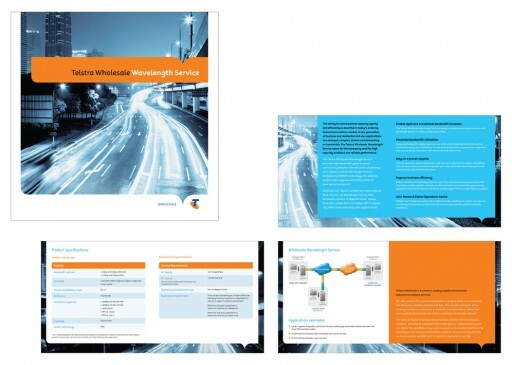 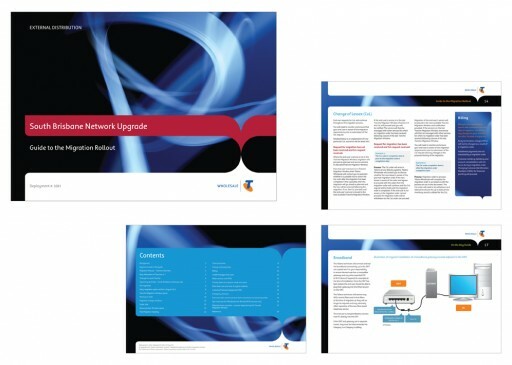 Telstra Wholesale Migration to Rollout 20 page A4 guidebook and 20 page A4 On the Day guidebook – internal communication. 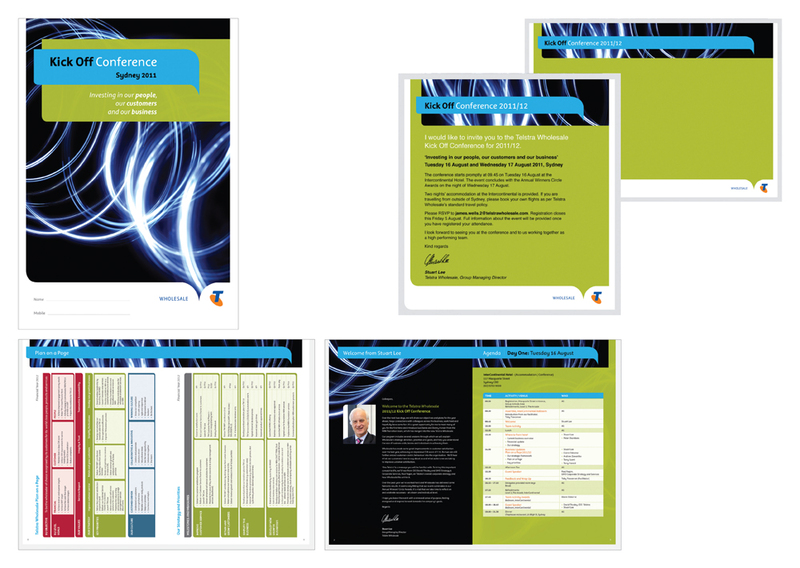 These documents were utilised as printed booklets and interactive PDFs. 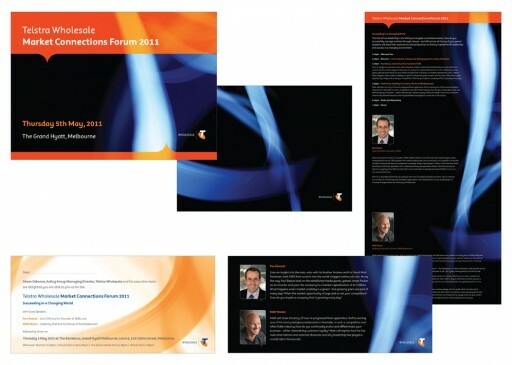 Telstra Wholesale Market Connectios Forum 2011 A5 6 page invitation and a 2 page DL Confirmation Card. Other items designed for this event included a HTML invitation, 4 page A4 program and a Powerpoint design. 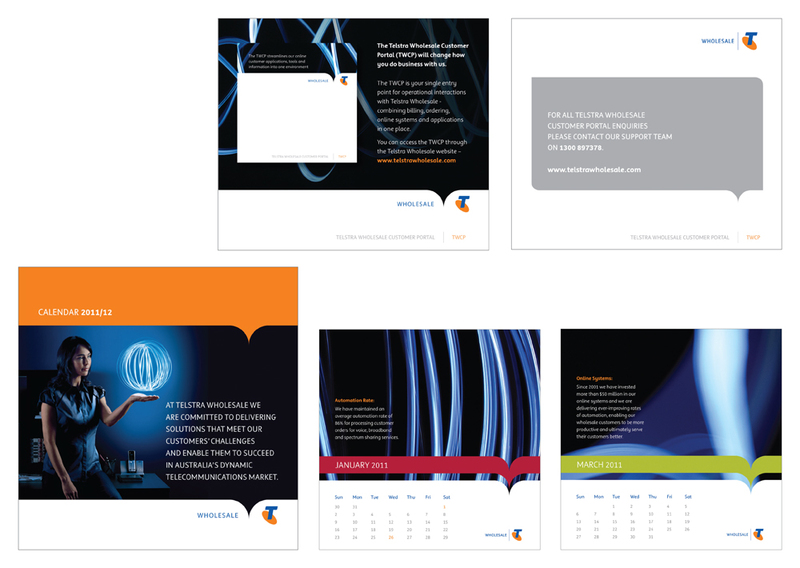 Telstra Wholesale customer portal which includes a tent card and posted pads plus an 18 months 20 page calendar that runs from January 2011 to June 2012.